It hardly seems possible that the Lenten season (for those who observe it) can have flown by so quickly. Yet here we are, already on the cusp of Palm Sunday — with Maundy Thursday, Good Friday, Holy Saturday, and Easter Sunday stretching out in quick succession behind it. For many of us, a typical Easter shopping list may include . . . Yet Easter is (or at least, it should be) about so much more than tummy aches and tooth rot. Easter is about utter despair and unutterable hope. It’s about a bloody cross and an empty tomb. It’s about death and (miracle of all miracles!) resurrection. To help readers of all ages truly appreciate “the reason for this season” in all its depth and beauty, we’ve assembled an assortment of beautiful books for Holy Week and Easter on our website. A man in the crowd at Jerusalem vies to see Jesus; a disciple recounts details of the Last Supper; Pilate’s wife fears her husband’s decision. 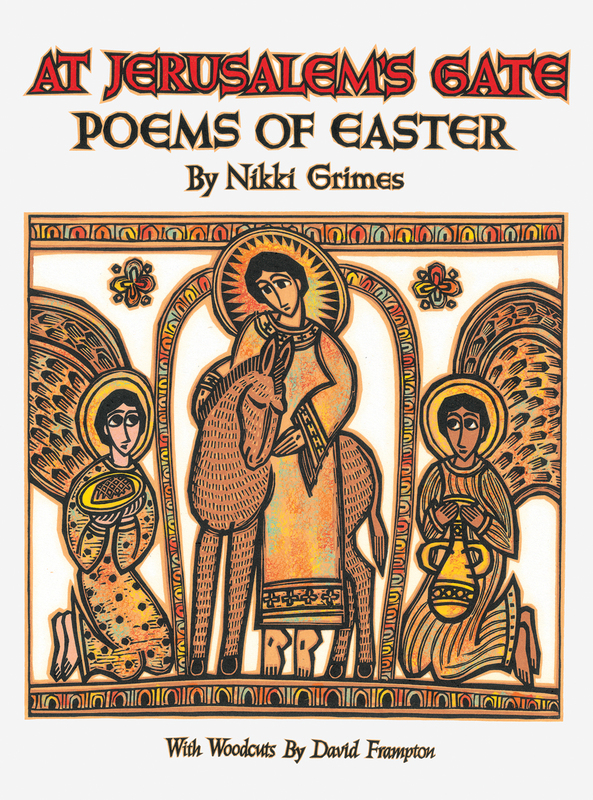 Beginning with Christ’s triumphant arrival in Jerusalem, Nikki Grimes explores the first Easter through the eyes and voices of those who witnessed it. The author’s introductions provide a thoughtful framework, and David Frampton’s beautifully intricate and expressive woodcuts illuminate each poem. At Jerusalem’s Gate offers readers young and old imaginative new insights into the most important moments in Christian history. Click here to read an EerdWord review of this book by Rachel Bomberger. Once, a long time ago, a little donkey was brought to Jesus. The little donkey had never been ridden before, but Jesus spoke gently to him, and soon he stopped being afraid. Jesus climbed onto the donkey’s back, and they set off for Jerusalem. . . 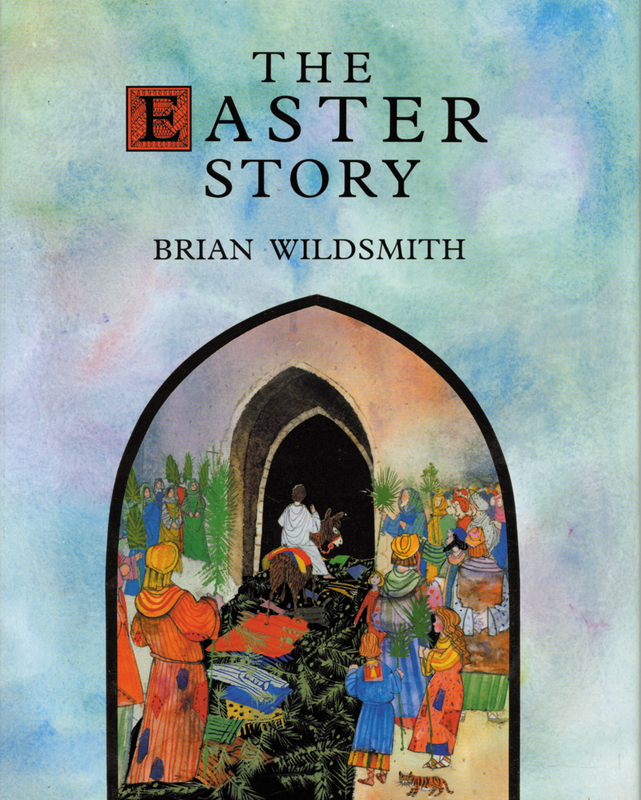 In clear, reverent language and shining gold-toned paintings — and with an enchantingly simple perspective that will engage even the very youngest child — award-winning author/illustrator Brian Wildsmith creates offers a splendid version of the greatest story ever told. Long, long ago in the land of Egypt, a Hebrew mother and her daughter, Miriam, hide a newborn baby boy in a basket that they float down the Nile River to save the child’s life. Rescued from the river by the Egyptian princess, Pharaoh’s daughter, the boy is named Moses. When he grows up, he leads the Israelite people out of slavery. Introduce young readers to the Easter holiday’s Passover roots with this beautifully written picture book, sumptuously illustrated by Pauline Baynes, best known for her illustrations in C. S. Lewis’s Chronicles of Narnia. This volume of sermons by Fleming Rutledge, representing twenty-five years of Holy Week and Easter preaching, offers a wide-ranging vision of Cross and Resurrection that will inform and inspire committed believers and serious seekers alike. Divided into seven sections that progress through Holy Week from Palm Sunday to Good Friday to Easter and on through Eastertide, these sermons incorporate the biblical themes of sacrifice for sin, vicarious suffering, victory over evil and death, and the new creation arising out of eternal love. Each displays Rutledge’s startling ability to bridge the message of the ancient biblical texts with the distinct needs of modern people. 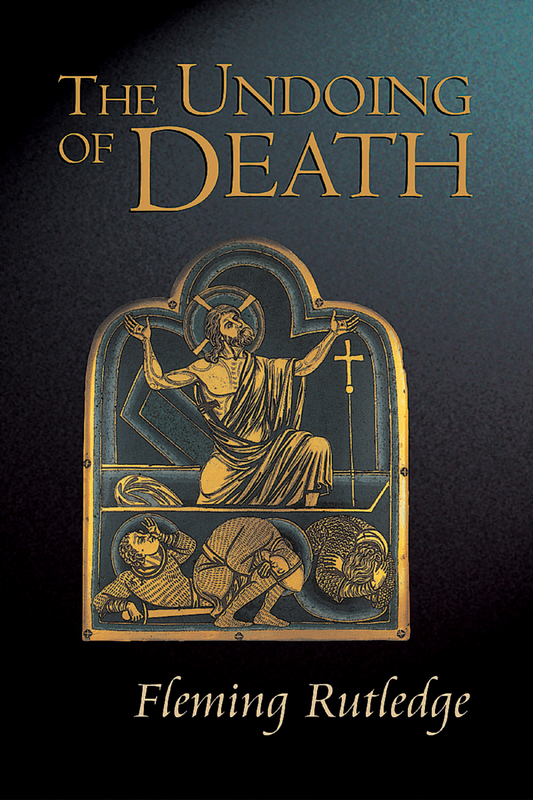 Intellectually engaging, pastorally wise, and beautifully written, The Undoing of Death is accented with thirty-three artistic masterpieces depicting the events of Holy Week, making it a feast for the eye as well as the soul. Click here to read an EerdWord excerpt from Fleming Rutledge’s most recent book, And God Spoke to Abraham: Preaching from the Old Testament. Honor the Easter message of new life and growth in Christ every day of the year with this fifth and final book in Eugene Peterson’s best-selling series of “conversations” in spiritual theology. Though bringing people to new birth in Christ through evangelism is essential, says Peterson, isn’t it obvious that growth in Christ is equally essential? In Practice Resurrection Peterson brings the voice of Scripture — especially Paul’s letter to the Ephesians — and the voice of the contemporary Christian congregation together to unpack what it means to fully grow up “to the stature of Christ.” Peterson’s robust discussion will move readers to restore transformed Christian character to the center of their lives. Click here to read an EerdWord excerpt from the fourth of Peterson’s “conversations” in spiritual theology: The Jesus Way. Click on the banner below to explore the rest of our featured books for Holy Week and Easter. Great list! We’re planning on recommending one work of spirituality a day during Holy Week over at lupuscain.blogspot.com. Check it out! Sorry for the typo! Mea magna culpa! We’ve changed from Blogspot to WordPress.